In this chapter learners will explore Newtons three laws of motion and Newtons law of universal gravitation. Learners will also learn more about forces and the different kinds of forces. The following provides a summary of the topics covered in this chapter. The types of forces covered are: normal force, frictional force, applied force and tension. Force diagrams and free body diagrams. In this section learners will see how to take a problem and draw diagrams to show all the forces acting on a body. They will learn what a force diagram is and what a free body diagram is. Newton's three laws of motion are discussed in this section. Each law is covered in detail and practical applications such as rockets, lifts and seat belts are covered. Newton's law of universal gravitation. This topic explores gravity and Newton's law of universal gravitation. 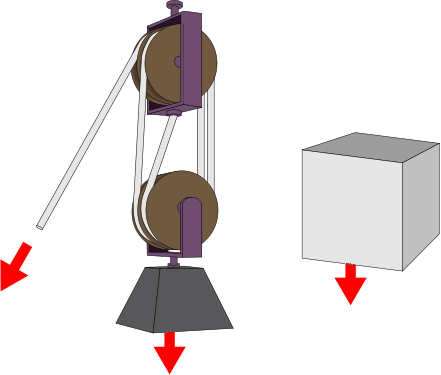 Learners are introduced to the ideas of weight and mass as well as the acceleration due to gravity. In this chapter we will learn how a net force is needed to modify the motion of an object. We will recall what a force is and learn about how force and motion are related. We are also introduced to Newton's three laws and we will learn more about the force of gravity.